A young witch, dabbling in forces beyond her real understanding, is the titular hero of Jessica’s Trap by H.K. Hilman. Jessica unwittingly calls forth the demon Foras, who recruits her in a plan to ensnare a powerful demon which has possessed a Witchfinder-General and is bent on spreading death and destruction through Civil War-era Britian. The demon feeds off the fear and pain of women accused of witchcraft. More demons are summoned to assist, the trap is set, with Jessica as the bait, and her expanding cottage is soon over-run with escapees from a Hieronymus Bosch painting. Along the way she will discover the truth about her parents’ deaths and develop a crush on Forus, hinting at a Twilight-style romance. Hillman doesn’t waste time, instantly launching the reader straight into the action. We are given an immediate sense of his world, the characters and their lives. The short chapters keeps things lively, moving back and forth between the characters, mainly Jessica and Simon Bulcock, who is her poacher and potentially treacherous friend. Hillman’s writing is vivid, pacy and literate. This being a novel aimed at young adults, everything is painted with fairly broad strokes. This approach keeps the action moving along nicely, but never really allows the reader a chance to pause and get to know the characters. That said, the character who really stood out for me was Simon Bulcock. Full of weakness, regret and self-hate, he’s easier to identify with than the other characters who are rather one-dimensional. Still, Hillman clearly knows what he’s doing and has cleverly constructed the book in order to keep the reader’s attention and sympathies. And he implants enough intrigue to keep the reader’s interest right up until the very end. Lots of unexpected twists also help keep the reader engaged; events at the millpond being a particular highlight. The fate of kind-hearted villager Seth will leave any reader with quite an impression. All in all, Jessica’s Trap intrigued me by its plot and I found it to be an enjoyable read. It’s packed with enough twists and turns, original ideas, memorable scenes, and spatters of gore to keep horror readers happy. You can buy Jessica's Trap HERE. Kevin's short stories have appeared in From The Asylum, AlienSkin, and other online venues. 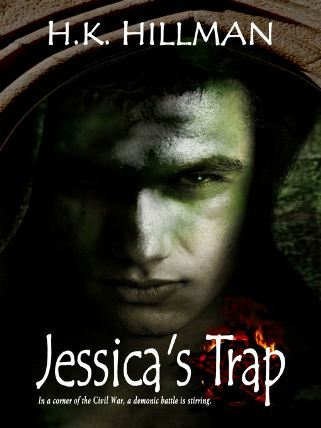 His first novel, Jessica's Trap, is due to be released by Damnation Books in April 2011. Fame beckons, although fortune remains sadly elusive. 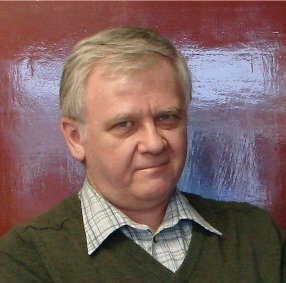 Tim Jeffreys is the author of two collections of short stories, The Garden Where Black Flowers Grow and The Scenery of Dreams, aswell of the first book of his Thief saga: Thief’s Return. His stories are hard to pigeonhole, and are best described as a mix of horror, fairytale, black comedy, and everyday life. By coincidence his everyday life is a mixture of black comedy, fairytale, horror, and stories. 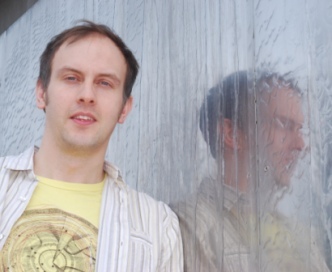 He is also a talented artist and illustrates some of his books with his own drawings. Since 2001 Tim has also produced a number of audio books of his own stories with the help of various professional actors. All Tim’s books and audiobooks are available through his website. He plans to release more books in the immediate future, imminent fatherhood having added a level of urgency to his writing that had previously been aimed at but never achieved.